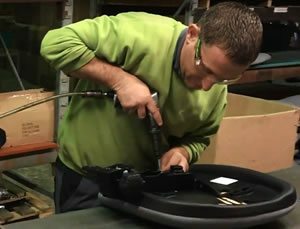 The Mon PU has been specifically designed and developed to be used in the toughest working environments. 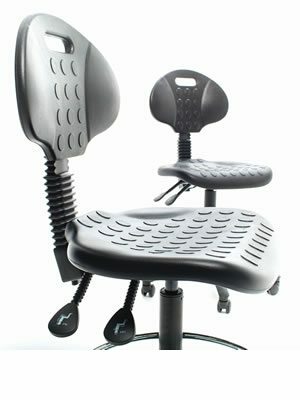 Soft touch polyurethane seat and back, which provide the correct level of support for factory, laboratory, technical and industrial usage. The Mon PU has been specifically designed and developed to be used in the toughest working environments. 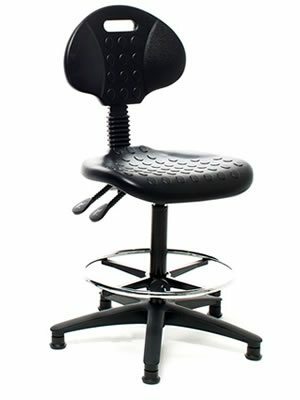 Soft touch polyurethane seat and back, which provide the correct level of support for factory, laboratory, technical and industrial usage. The Mon PU range can be customised to your requirements from base colour and arms. Two standard variations are shown below with some optional extras. Please contact us to discuss any specific requirements. 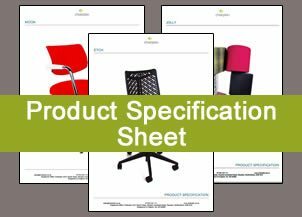 Click to download a PDF of the Mon PU chairs.